God invites us to appraise Him -- like we would a real-estate property or jewelry -- so that we might determine His value. This appraisal is called worship. What is He worth to you? If my appraisal of God is low, my worship will also be low. If I find great value in Him, my worship of Him will reflect that. Appraisers determine the value of property. If I wanted to sell my home, I’d get it appraised to determine its real value. Jewelry is also appraised to determine what it’s really worth. Much like the appraiser looks for strengths and weaknesses in whatever is being assessed, God invites us to appraise Him so that we might also determine His value. (Psalm 117) This appraisal is called worship. What is He worth to you? Whatever that value is, it will show up in your worship. If my appraisal of God is low, it stands to reason my worship will also be low. If I find great value in Him, my worship of Him will also reflect that. Would you be surprised to learn that Christmas is a story about worship? In the opening texts of Matthew and Luke, we find worship as a central theme. Angels worshipped Jesus. The shepherds came to worship Him. Today’s key verse reminds us, “The shepherds went back, glorifying and praising God for all that they had heard and seen, just as had been told them” (Luke 2:20). Additionally, Simeon and Anna worshipped Jesus at the temple. The magi traveled well over a year to come and worship Him. The uniqueness of this child and His fulfillment of prophecy informed and inspired the worship of these individuals. Yet I want to encourage us today to return to our first love this holiday season. Perhaps we need a gentle reminder as we enter this month of December to try not to get so busy we forget to worship the One the season is about. Give God the worship that is due Him. Knowing the story of Jesus Christ is not nearly as important as discovering how that story can, and has, transformed our lives. I want to focus on thanking God and praising Him for all He’s done. Let’s all worship Him with our whole being this Christmas. He is worthy of the praises of His people. He deserves our heartfelt worship. Dear Heavenly Father, thank You for sending Your Son, Jesus Christ, to come in order that He might provide the pathway to You, for me and all those who trust in Him. Thank You for the multitude of blessings You have given to me over the course of my life. Please gently nudge me and remind me if I start to get so busy that I forgot to honor and worship You with my thoughts, words or actions. You are the reason for the focus of this season, and I want to remember that throughout this month. I worship You, Lord, for You are holy, powerful, restoring and the source of my very life. In Jesus’ Name, Amen. Could you use a bit more hope? Life can be hard. You need a place where you can find wholeness again. Happiness. Even strength. 2018 has been an exceptional year, and you’ll appreciate the finest of Dr. Tony Evans’ teachings this holiday season. The Best of Tony Evans 2018 is a CD with 20 of his most streamed and requested titles over the past year. Simply head HERE to request yours. You can have both the 10-message CD and the additional 10 downloadable MP3s with your gift of any amount. 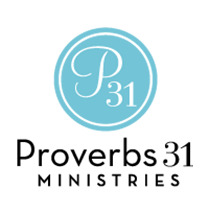 Enjoy the holidays with the powerful teaching of Dr. Tony Evans. Merry Christmas! 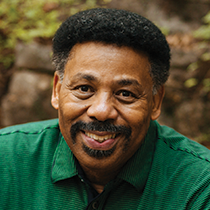 For more practical insights and encouragement, follow Dr. Tony Evans at @drtonyevans on Facebook, Twitter and Instagram. In what ways do you worship God on a regular basis? What practical thing can you do this week to increase your worship of the Lord? We’d love to hear your thoughts in today’s comments section. © 2018 by Dr. Tony Evans. All rights reserved.